When traveling to a location for an extended period of time or living there for work, a great option for the person that wishes to get settled quickly in a new environment is to consider renting a furnished apartment (sometimes called corporate housing). 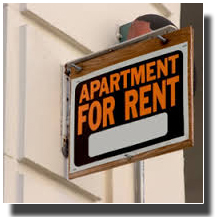 Finding an affordable, comfortable furnished apartment to rent can be tricky. When money is no object luxury accommodations are plentiful. If you’re working with a budget the search becomes more challenging. When deciding about furnished apartments to rent, there are some options available to help find locations as well as deals; find a realtor to help you, search through the internet, the newspaper, word of mouth or simply wander through the neighborhood you’d like to live in. Renting a space that is already equipped with everything you need, can save both time and money in the long run if you’re planning to move out after a period of time. Unlike staying in a hotel, furnished apartments allow you to feel more like you’re living in a home. There’s usually more room and you can add decorations to suit your individual taste. Even though browsing websites by price is great, there is more than just price to consider when deciding to select a furnished apartment to rent. One should also consider the amenities of each complex; such as high speed internet, parking, cleaning services, a garage and other necessities you’re accustomed to. These items are often overlooked in the decision making process, but might end up affecting the quality of your experience in the long run. It is also recommended to view other aspects of living in a particular area, such as proximity to your workplace, to restaurants, and recreation. If things are within walking distance or a short drive you could end up saving a lot of money on gas, and reduce wear and tear on your vehicle. Being centrally located is a major factor when considering the best price and overall savings. Deciding what area to live in is an extremely important part of the decision making process. Choosing to live in the downtown area is usually expensive. In a small city like Norfolk, Virginia most neighborhoods are only a short drive away. The roadways are uncomplicated and very easy to learn. Many locations near downtown are on beaches with access to public transportation, a nice area to choose is the East Beach area of Norfolk. There you will find extended Norfolk housing accommodations that are suitable as furnished off base housing in Norfolk for military members or business travelers. Overall, deciding on the best furnished apartment to rent is going to be based on personal preference, location to work, proximity to stores, and of course the price. Why Do Professionals Rent Furnished Apartments? What Is Furnished NATO Housing? How To Protect Your Interest Before You Move In An Apartment? Copyright © 2019 Sandy Bay Apartments Articles. All Rights Reserved.